More than half of seniors over 65 now use the Internet, and although the Internet is a great resource for seniors and a wonderful way for them to keep in touch with loved ones far away, not all seniors are as tech savvy as younger generations and that can leave seniors vulnerable. Home Care Assistance, a leading provider of specialized Harrisburg Alzheimer’s care, dementia care, and Parkinson’s care, recommends the following to keep seniors safe while surfing. 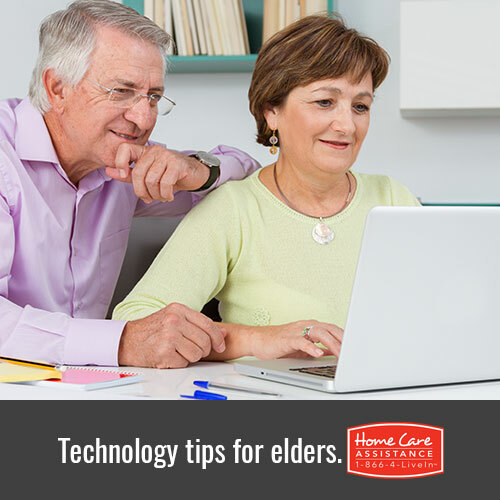 A senior may need to do important tasks online that deal with personal information, such as bank accounts. A decent hacker can hack a short password in a matter of minutes–or even seconds. Make sure a senior loved one uses longer passwords with a variety of characters, both capitalized and lowercase, because they are significantly harder to crack. Some seniors may go on social media sites, such as Facebook. It’s imperative that they do not give out their personal information, such as addresses, phone number, bank account info and the like. This type of information can be used against them if it gets in the wrong hands. Not all seniors realize there are different privacy settings, so spend some time ensuring their accounts aren’t viewable by anyone they don’t know. With the right knowledge, someone can actually see a person’s online activity, including private information. Using encryption is the best way to prevent this. URL addresses that start with “https” encrypt all information that goes online. Alternatively, one can also use encryption software, which is more effective. Scams are all over the Internet targeting users young and old, rich and poor, and everywhere in between. Some make an offer that is too good to be true, while others claim to fix problems on a computer, such as viruses. However, they will connect to the person’s computer by asking for their product key and steal personal information. Again, reinforce how important it is for your senior loved one to never give out important information. Unfortunately, there are all kinds of viruses online. This is why having a good anti-virus is key. Having a good anti-virus will not only keep a computer safe, but it will also keep private information safe from severe viruses. There are also free anti-virus software options for seniors on a budget. For more tips on senior safety, reach out to Home Care Assistance of Harrisburg. We proudly offer specialized live-in and hourly care, and our caregivers are expertly trained to help with a wide variety of tasks from cooking to safety monitoring. Call us today at (717) 540-4663 to schedule a free in-home consultation with a trusted Care Manager!